Ad agencies are "staring down the barrel" of outcome-related payments from clients in the future, creative leaders have been warned at Advertising Week Europe. Jon Wilkins, the executive chairman of Karmarama, told yesterday’s ad agency panel on the industry’s future that outcomes "will become a critical part of every single conversation" with clients. He said: "All of us are staring down the barrel of outcome-related payments in some form. I went to a chief marketing officer function the other day and I heard brand builders talk about the pressure they’re under. It’s all about outcomes. "Ultimately where we’ll succeed is where we believe we’re creative enough to change behaviour. It will be a much stronger blend of outcome and less reliance on fee. I can’t see how any of us are going to avoid this." The prediction came within weeks of a survey of ad agencies by the Marketing Agencies Association, which suggested two-thirds of agency leaders were "happy" to have fees linked to performance. The practice was at the time criticised by AAR, which said performance-related pay was not a good incentive to obtain better work from agencies. However Wilkins recalled an instance where his former agency, Naked Communications, benefitted handsomely from outcome-related pay. He said Naked was paid an £800,000 bonus after helping client 118 118 grow market share over BT. 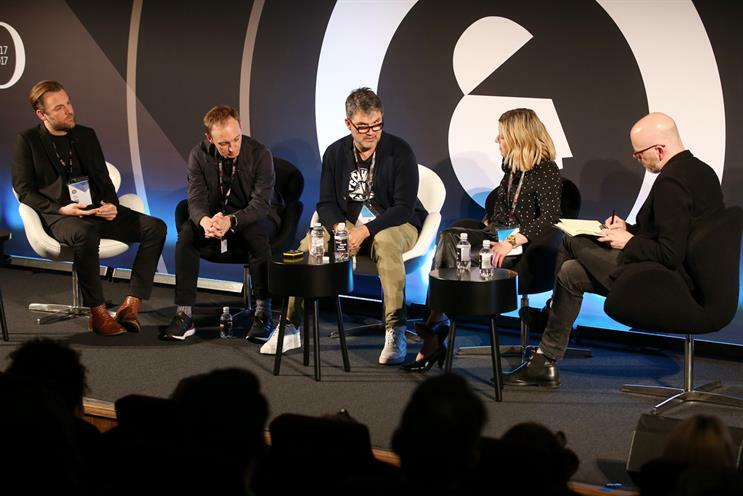 Fellow panellist Camilla Harrisson, Anomaly London’s chief executive, cautioned brands to measure agencies against "the right outcomes" in yesterday’s session. She added: "We can influence all sorts of things that aren’t necessarily that great for the clients’ business. We can end up in a cul-de-sac of all sorts of tracking measures." The panel, chaired by Grey London chief executive Leo Rayman, discussed what model agencies could move towards in future – a recurring theme at this year’s Advertising Week in which the UK was said to be the world’s worst place to start an ad agency and the pitch processes were being run poorly by brands. Mark Eaves, the founder of Gravity Road, prompted Wilkins’ warning on outcome-related pay by telling the panel that agencies were trying to do too much for clients, including creating its own intellectual property outside of briefs. "Where people fall down is where they’re trying to do it all in one go. You’re going to get into all sorts of conflicts of interest and be confused in what you’re trying to do," Eaves said. "There’s a lot of learning done on clients’ time at the moment and I think that can be embarrassing for the industry." According to Matt Lodder, executive vice-president and managing director EMEA at R/GA, it is the rate card itself that gets agencies into trouble. Lodder repeatedly spoke of how the Interpublic agency is keen to set up joint ventures with start-ups, such as the ten fledgling companies that are signed up to the agency’s IoT Venture Studio UK Programme. Lodder said the rate card "defines the answer before you even know what the question is. In five years time, I think it’s about how do we help people create new things." He went on to say, "[Clients] used to come into R/GA and say ‘we want an app’, but now they say ‘we’re not sure what we need but we need it in the next 12 months’. Not everybody likes to do that so how do you amass those fluid things and then charge for that."